It turns out most men only wear a tuxedo on wedding days, so they always need a little help putting them on. 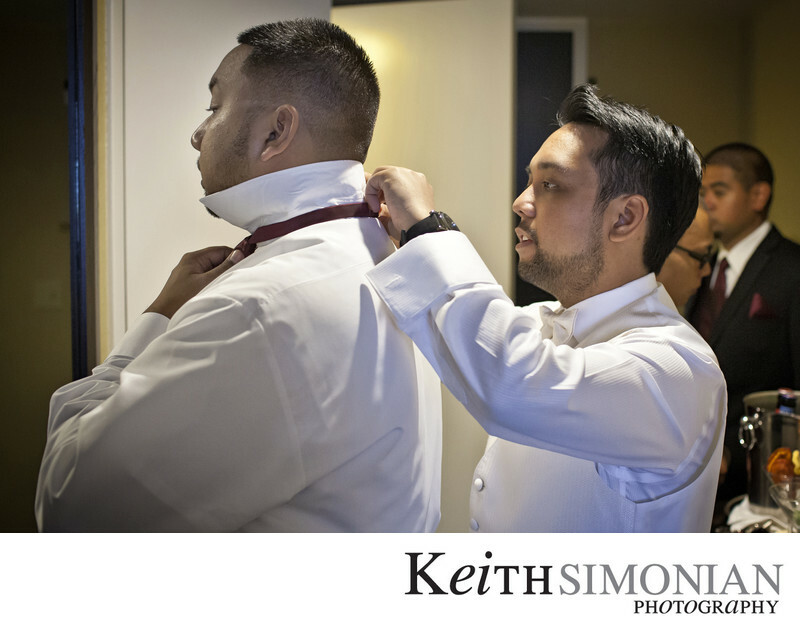 Here the groom helps one of the groomsmen put his tie on. 1/125; f/2.8; ISO 1250; 35.0 mm.